The food of the Caribbean has been influenced by many countries. Laborers from India introduced their roti flatbread to the islands. It is especially popular in Trinidad and Tobago, St. Lucia, and Jamaica. Roti is used to sop up the sauce from curries and stews. It is usually torn into pieces as you eat your meal and used to scoop up the flavorful stew and pieces of meat. Roti is used in the roti wrap, which is sold as a quick meal or snack. In a roti wrap, meat, vegetables, and condiments are wrapped in a roti and served to eat on the go. There are different varieties of roti. 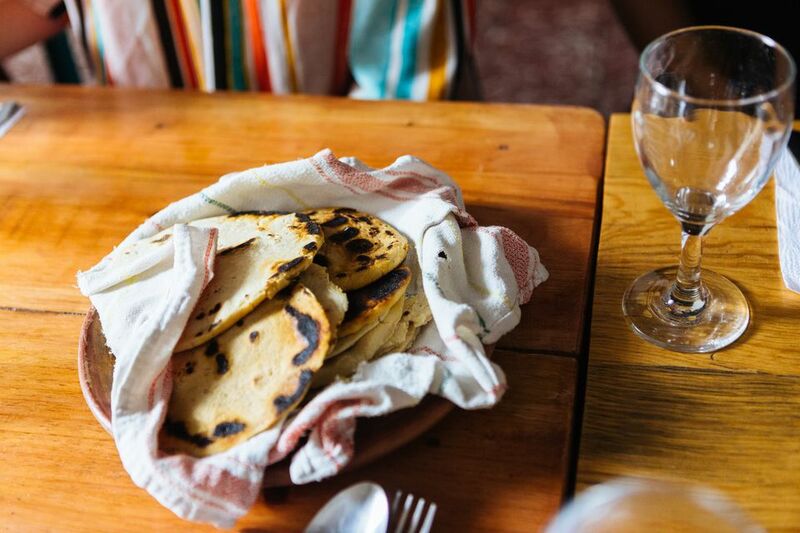 Here are the six most popular types of roti made in the Caribbean. Dhal puri is a lentil-stuffed roti. Seasoned with garlic, hot pepper, and ground pepper, this roti is traditionally made for special occasions. It is also made and sold as a popular street-food item. It can be eaten as is or with any type of meat, seafood or vegetable curry. 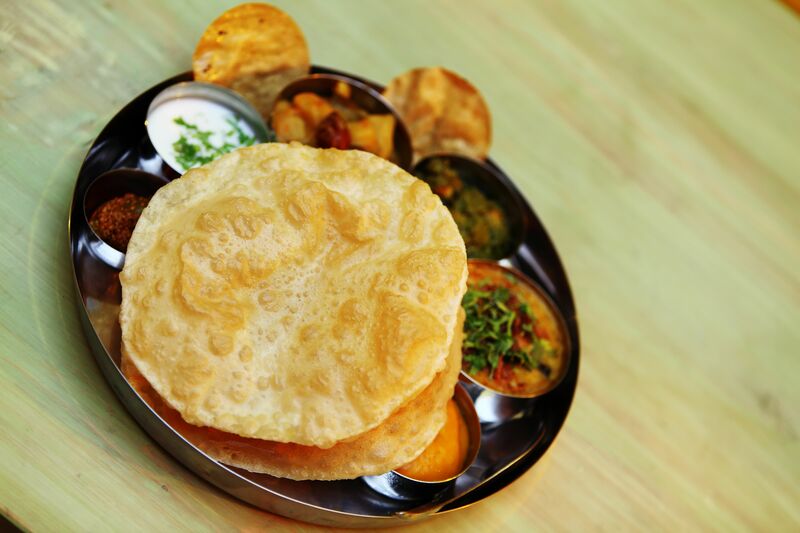 The dhal puri is one of the types of roti that is most often used when making roti wraps. It's also enjoyable to have with a sour chutney. Paratha roti is also known as a plain roti. The method used to produce it results in a layered pastry-like texture. Caribbean paratha roti is rolled thinly, brushed with oil or ghee, rolled tightly, left to rest, and then cooked on a hot griddle. While the roti is cooking, it is clapped to release the layers to form a flaky roti. It is usually served with sautéed vegetables or a curry or choka, a fire-roasted vegetable salsa. Sada roti is a thick flatbread that is made to be eaten mostly at breakfast or dinner. It is the easiest to make of the rotis as it uses common ingredients and requires only three steps and less than half an hour of time. Baking soda is used to make this bread rise. It is enjoyed with vegetables, choka, or with butter and jam. Dosti roti is made by cooking two pieces of the dough used for paratha roti, together. It is basically a double roti. Dosti in Hindi means friend. After forming the pieces of dough, they are brushed with oil or ghee and pressed together in pairs. After resting, they are cooked and brushed again with oil or ghee. Aloo is the Hindi for potato. Aloo roti is a spiced, mashed potato stuffed roti. It is most popularly made and eaten for breakfast or dinner and can be eaten as-is. Pepper roti is so given its name simply because of the amount of heat from the hot peppers that are added to the filling mix for the roti. Pepper roti is two pieces of the dough used for paratha roti sandwiched with a filling of grated potatoes, carrots, and cheddar cheese. It is very popular in Trinidad and Tobago.